One year after the enthusiasm described in the chapter “Innovative solutions for global interest”, the bitter reality caught up with the people of Reunion Island. 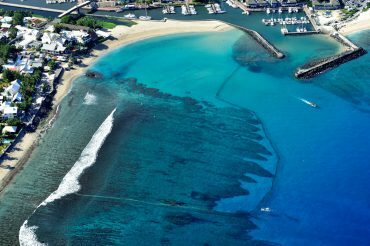 The French volcanic island is currently surrounded by an untouchable ocean. Even on the hottest days, it is forbidden by law to go for a swim. This situation is unheard of anywhere else in the world. 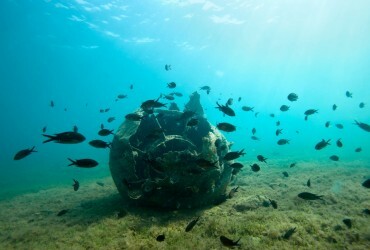 Until recently, two beaches exposed to the Indian Ocean were protected by experimental nets. Unfortunately, the forces of nature proved too destructive and the structures are now badly damaged. Cut off from the open ocean by a fragile coral reef, the lagoon was the only other portion of coast offering a safe bathing area. But several juvenile bull sharks were spotted slicing through its waters. The red flag has since been raised, meaning a total ban on swimming all around the French island. Worse, four additional surfers have been attacked by sharks in less than a year. The luckiest one only suffered a minor scratch, his board sustaining the full impact of the powerful jaw. Of the remaining three, two lost their lives due to a severe hemorrhage, while the last one will remain mutilated for the rest of his life. This brings the total to nine fatalities in less than six years. Each tragedy raises many more questions than it brings answers. 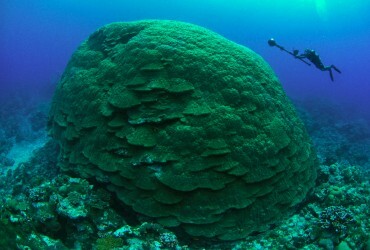 Yet, Reunion Island was once at the front guard of shark science. Starting in 2011, the ambitious CHARC program tagged and monitored 38 bull and 45 tiger sharks during five years. The project led by the French National Research Institute for Sustainable Development (IRD) ended with the publication of the results, and since then research is at a standstill on the island. 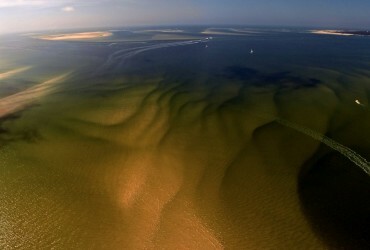 There are currently two fishing methods taking place in the waters of the French island. The first one is aimed at targeting sharks that are at a stone’s throw from the shore. Not all specimens will come close to the beaches and surf spots. 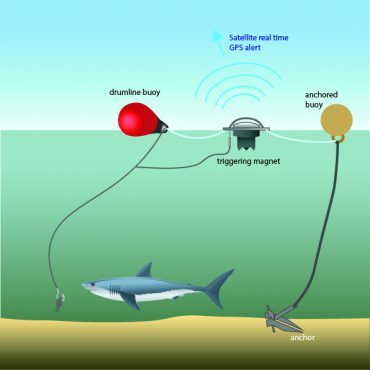 The ones that do are faced with a series of fishing devices ingeniously equipped with a capture alert. They are the famous “smart drumlines”. This combined fishing effort begun early this year, but was is on standby due to administrative and financial reasons. In January, an important staff shift took place at the fisheries, and war has been raging ever since. The new team accuses the old one of misuse of public funds. The vaults have been empty for several months, meaning no more fishermen are paid to go out and catch sharks. It’s a hot topic of debate, to say the least. One of the strongest critic relentlessly heard about the “Cap Requin” program was the attribution of fishing rights. According to the objectors, the annual budget of around 800’000 euros was systematically promised to the same group of professional fishermen. One of the main electoral promises made by the new team was the opening of the shark market to every fisherman on the island. In theory, an open market should be more competitive and efficient. But when the aim is to catch one of the sliest marine predators of the world, an animal capable of avoiding most traps laid out for him, the situation quickly gets out of hand. Only a handful of experts seem to be able to specifically target bull sharks. The new fishing rules were as follow: Each boat was entitled to 200 euros for going out at sea, whether there was a hit or not. A text message was all that was requested to announce the campaign. 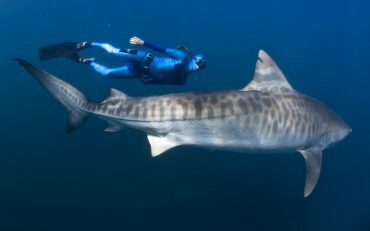 If a targeted shark was caught, its meat was bought back at a price of four euros the kilo of tiger shark and ten euros the kilo of bull shark. This method is criticized by the old staff, led by Ludovic Courtois, former secretary general. Once the money dried out, a long and tedious procedure was launched to receive additional operating budgets. The current fisheries’ personnel confirmed that the boats will be able to get back out soon. 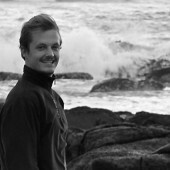 According to David Guyomard, his colleague Christophe Perry represented 50% of the program’s effectiveness. As project coordinator, he was constantly deploying the devices according to the most recent sightings. “The facts speak for themselves, says the former supervisor of “Cap Requin”. 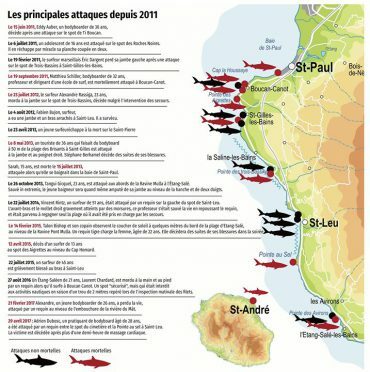 During the year and a half we were able to correctly work with our smart drumlines, from mid 2015 to early 2017, there were no attacks on surfers in the popular zone of Saint Leu, Trois Bassin and around.” The only accident that took place in this period was within the experimental nets of Boucan Canot. The red flag had been raised on this particular 27th of August 2016, because the structure’s integrity was compromised. From Ulladulla to Ballina and all through Sydney, following one of the most surfed coast in the world, 50 smart drumlines are being deployed on key sites. On the coast of New South Wales (NSW), the most recent attacks were attributed to juvenile great white sharks. An emblematic species protected by several international conventions, contrary to the bull shark. Based on this fact, the powerful Department of Primary Industries (DPI) was tasked to develop the state’s shark management strategy. With an investment of 16 million Australian dollars (around 11 million euros) over five years, the DPI was able to develop effective instruments. 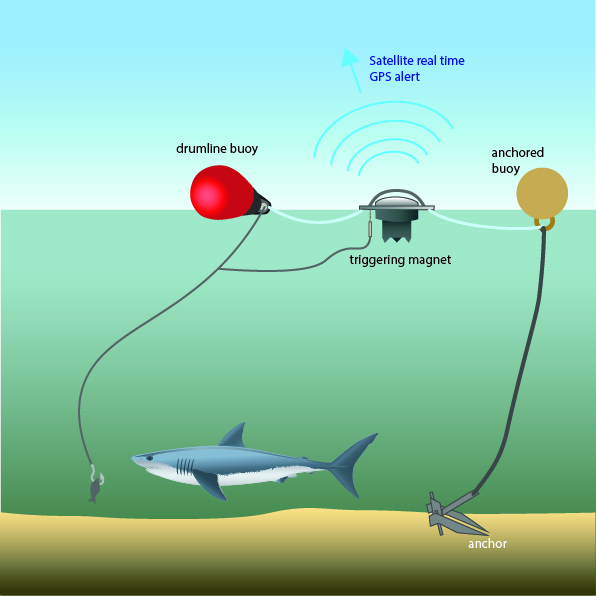 At the end of August 2017, the scientists overlooking the DPI shark management program informed the Australian journalists that “the smart drumlines could be more beneficial than previously thought”. It seems that once released, the tagged sharks swim further offshore. The DPI recently decided to add 50 smart drumlines in the waters around Byron Bay, Northern New South Wales. Back in Reunion Island, there is no plan to stop the culling program and shift it towards a tag and release effort like it’s the case on the eastern coast of Australia. Even if the same tools are involved, the environment is extremely different and the targeted species aren’t the same. In this day and age, the public opinion is strongly against the killing of sharks. 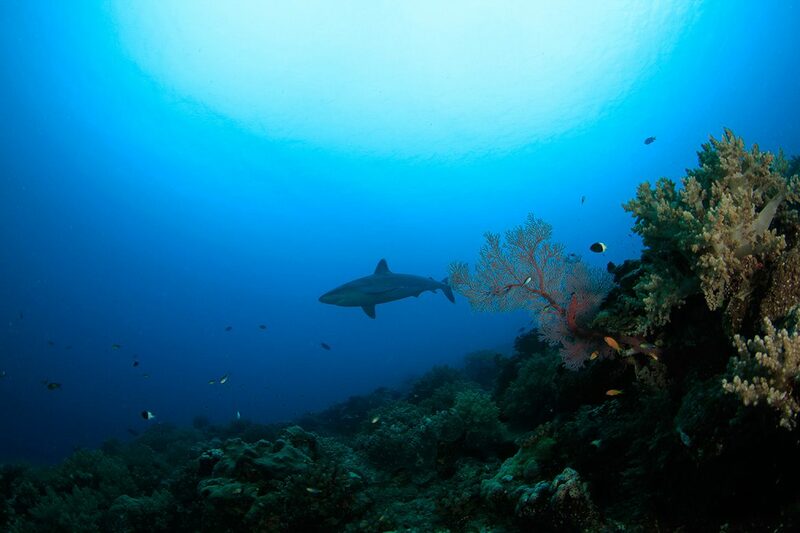 It has been proven that the apex predator plays a vital role in most marine ecosystems. His social media went up in flames, and many environmentalist NGOs were left numb. A heinous flow of comment poured all over Kelly Slater’s pages. He was called a shark-killer, deserving nothing more than to be eaten alive the next time he went surfing. The scale of the scandal probably surprised the man himself, as he temporarily lost his status as an environmental activist. Wherever the topic was brought up on internet, the conclusions in the comment section were almost always the same: “the sharks are in their home ; we doesn’t belong there ; leave the sharks alone ; if the sharks disappear, the oceans will die and we will die…” A simplistic, black-and-white message that is easy to digest and repeat. Very few people actually tried to understand why Kelly Slater came to this conclusion. In the digital frenzy, one voice stood out. Mark Healey is also a legend in the surfing community. The 36-year-old Hawaiian has made a name by riding the biggest and meanest waves of the planet. Like most watermen, he does not satisfy with a single specialty: he is also an accomplished free diver and spear fisherman. After spending most of his life in the ocean, he naturally got interested in marine biology, and sharks in particular. 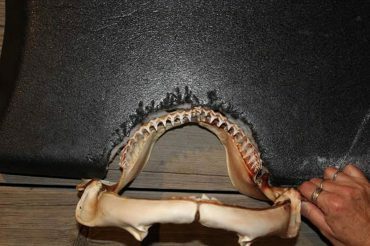 Most shark experts of the marine world are strongly against culling programs. William Winram is a freediving legend. Holder of various world records, he lends his extraordinary lung capacity and his knowledge of marine biology to numerous scientific programs around the world. 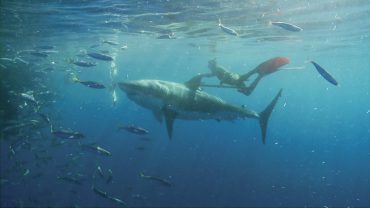 With the non-profit organization “The Watermen Project” that he founded, Winram actively works towards shark conservation. “I am disgusted by surfers that want to kill sharks,” he tells me straight up. The Vigies Requin are a group of young athletes that followed special training. They are now employed by municipalities to secure particular surf spots. When the meteorological conditions allow it, with at least 8-meter visibility underwater, they grab their mask, snorkel, flippers and jump in the water in pairs. They keep their head under the surface for several hours at a time, while on the surface, surfers can enjoy the waves with a complete peace of mind. According to the last estimations, local tourism is doing rather well. The visitors are coming back in greater numbers than during previous years. The shark crisis has made headlines in many international newspapers, so the tourism office of Reunion Island had to concentrate its marketing strategy on the lush mountains and stunning hiking routes the island has to offer. A safe surfing environment would surely play a role in the economic recovery of one of France’s region most badly hit by unemployed.